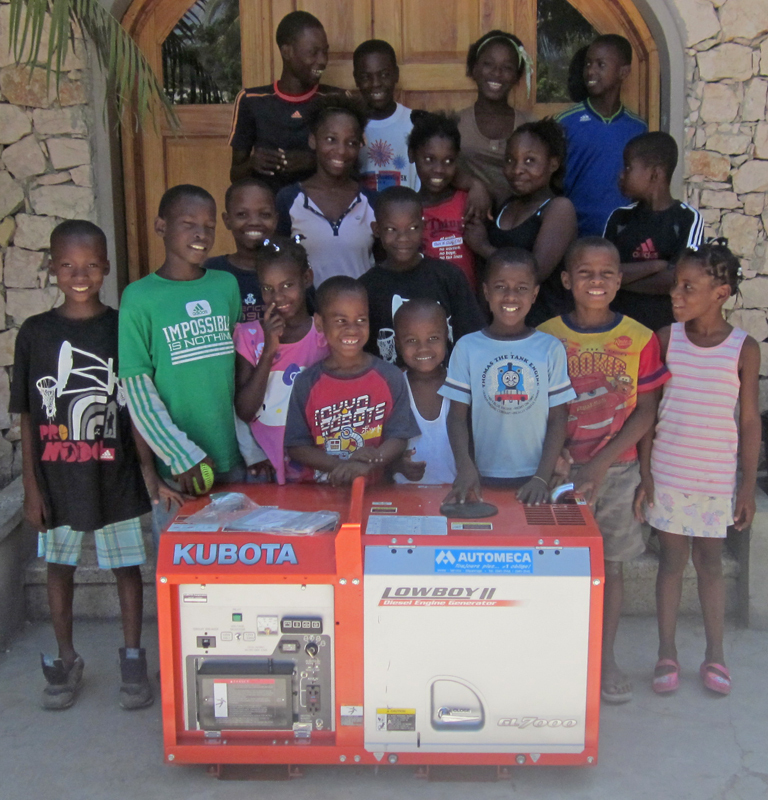 In September 2012 we were able to supply a new generator for the orphanage in Haiti that houses earthquake survivors. It helps an office to operate that meets the needs of 1,500 children a day and provides water for thousands daily. Also the generator protects a room full of medicines that are critical for water born diseases, pain, and discomfort for those who are still living in tents.